Wellington is a beautiful setting on a harbor set up against green hills, a compact, walkable downtown, and many spread-out suburbs. I gave two talks here to local geoscientists, including one in the largest wooden building in the Southern Hemisphere, a lovely structure with native wood interiors, and the other in a film studio turned GNS (Geological & Nuclear Science) center, where work on the Lord of the Rings movies was done. The talk was in a large theater used for movie viewing. 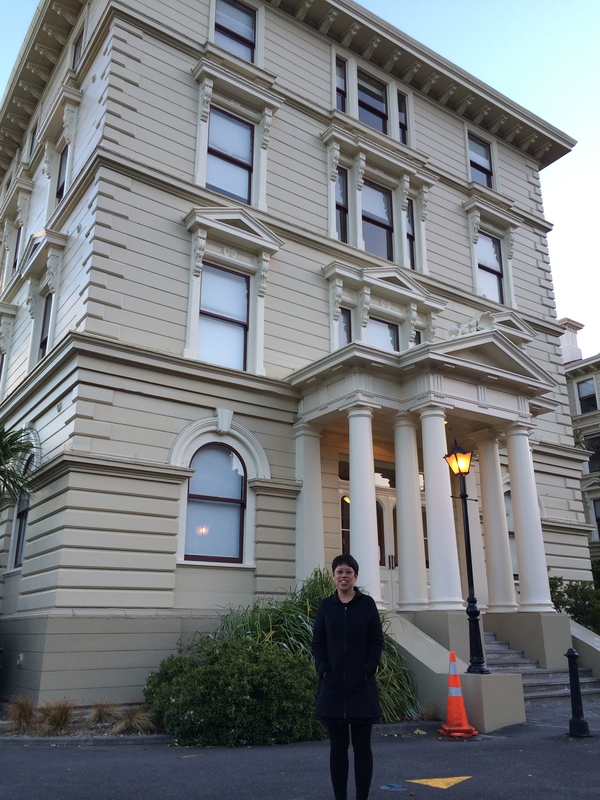 The largest wooden building in the Southern Hemisphere (a government building) designed to look like stone. 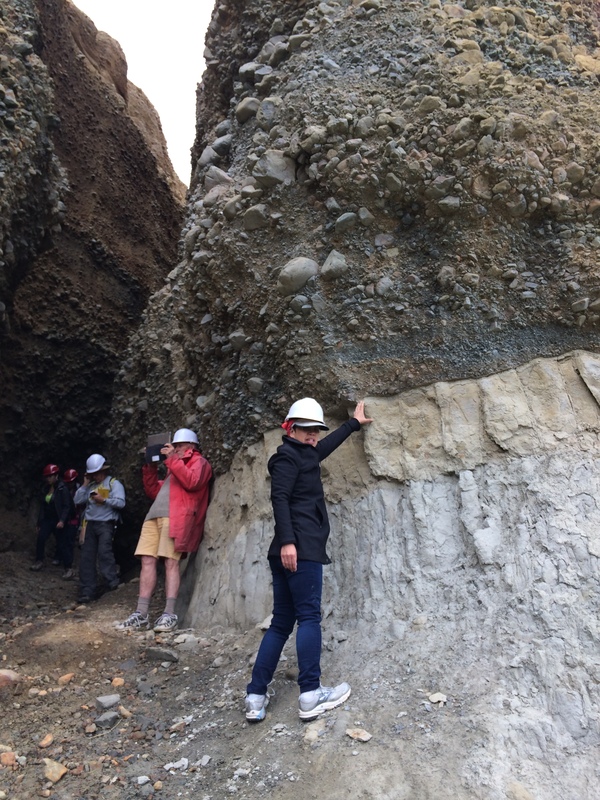 Cliff Atkins, of the University of Victoria, Wellington, put together a lovely field trip to the Wairarapa region, an up and coming wine producer, with interesting geology to boot. 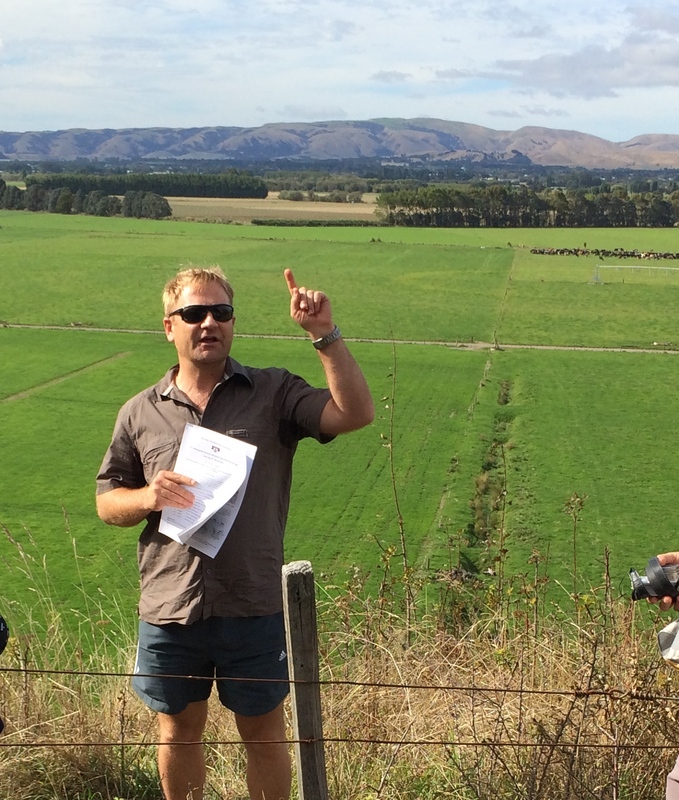 Cliff Atkins pointing out features in the Wairarapa Valley. The south Wairarapa Valley is the site of a Pliocene-Pleistocene, narrow paleoseaway that existed in a forearc basin (1-3Ma). We also viewed Pliocene marine mudstones uncomformably overlain by Quaternary deposits. The unconformity of Pliocene marine mudstones overlain by Quaternary gravels. 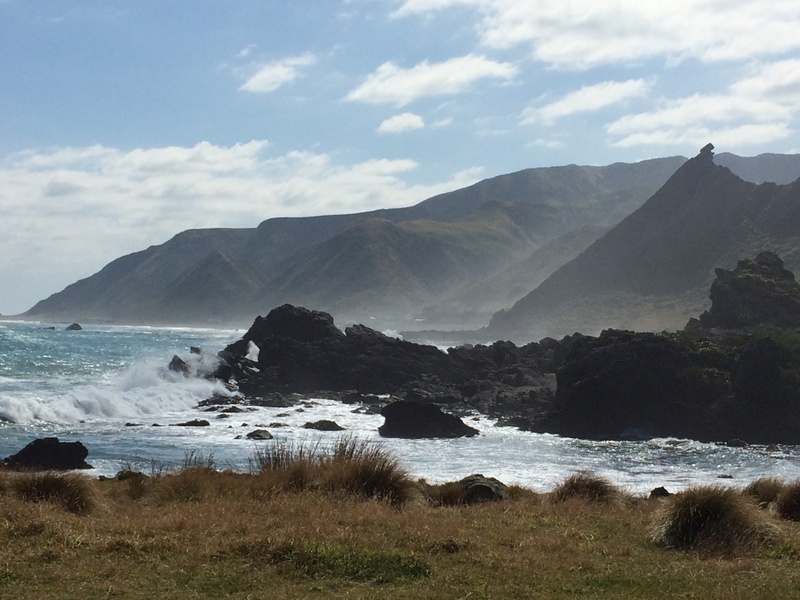 A view of “Kupe’s Sail” from Cape Palliser. It is made of tilted Miocene Mangatoetoe sedimentary rocks overlying Mesozoic basement rocks. The coast has uplifted marine terraces overlain by fluvial deposits. Other stops included Mesozoic basement greywackes and pillow basalts. The coastal exposures were indeed great! it is a regressive up sequence in the sense that it is marine at the bottom and terrestrial at the top. However, significant erosion of the mudstone has occurred with many younger Pleistocene marine units completed removed prior to deposition of the conglomerate. The underlying Pliocene mudstone was uplifted and wave erosion formed an extensive ‘bench’ into the mudstone during the sea level high stand during the last interglacial at 84000 years ago (Stage 5a). Subsequently, during the early stages of the last glacial cycle, sea level fell and thick fluvial conglomerates were deposited over the bench as the rivers flowed farther out to the glacial stage shoreline. Volcanic ash and loess layers within the conglomerate have been dated at about 60000 years ago. I liked the one with unconformity – quite a spectacular one!! Is it a regressive facies upward? Seems like you are getting more into the field components in New Zealand. Information on GNS Center and “Lord of the Rings” certainly drew my attention. Thanks Margie.